Seven oak panel back wainscot armchairs, of small proportions. Wil detailed carvings, five carved with an arch, two with flowerheads with lunettes, floral gullioche and leaves. 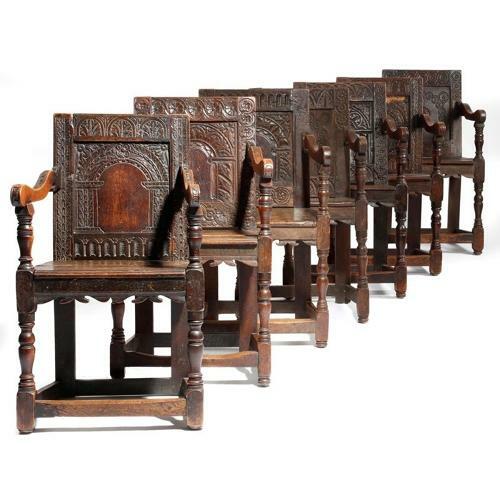 Each has a solid seat and turned legs united by stretchers.